People who put in an application at Harveys Supermarket are looking to join a company that strives to give their customers the best products that they can. Links to apply for jobs at Harveys Supermarket is at the bottom of the page. Joe Harvey started Harveys Supermarket in 1950 in Nashville Georgia. From that time, the company expanded rapidly, opening twenty-two stores by 1981. Currently, there are fifty-eight stores open. In 2003, Harveys Supermarket was sold to Delhaize Group, who then sold them to Southeastern Grocers in 2013. Southeastern Grocers changed their name to Bi-Lo in 2015. All Harveys Supermarket stores are in Florida, Georgia, and South Carolina. They have fifty-eight locations and twenty-three in-store pharmacies. With over three thousand employees, they strive to give every single one of them a chance to shine and grow their potential. For all of their customers, Harveys Supermarket strives to be a one stop shop, offering a pharmacy in select locations. In all of their stores, they have a produce section, meat and seafood section, and a deli and bakery section. Generally, there are sales on select products every week. 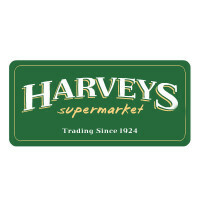 Harveys Supermarket jobs at the corporate level are headquartered in Nashville, Georgia and focus on making sure that everything is going smoothly within the company and at the local level. Some positions will have you traveling from store to store to resolve any issues that may arise. At the local level, people with Harveys Supermarket careers work closely with customers to give them the best experience they can. Several of these positions work in specific departments, and need to know everything possible about the merchandise to give solid answers when asked questions. How old do you have to be to work at Harveys Supermarket? Age requirements vary by position. As you browse Harveys Supermarket jobs online, make sure to read all the position requirements carefully as some need various degrees, certifications, or experiences. All of the Harveys Supermarket locations tend to have similar hours. All stores are open by seven am, seven days a week. Closing times are different with every store, but they’re all closed by ten pm every evening. Holidays will change store hours in order to give their employees some time off. Assistant Store Director – You’ll work to make sure that everything is working properly and that team members are giving customers the outstanding customer service that is expected. By creating an environment that enhances the skills and abilities of your team, you will make a great working environment. Compensation is around $40,000 a year. Assistant Culinary Manager – Making sure that the daily operations are going smoothly in the deli and prepared foods areas of the store is a big part of this position. As needed, you’ll help carry out the various plans that the culinary manager comes up with or is asked to carry out. Compensation is around $40,000 a year. Bagger – Greeting every customer with a smile while bagging their groceries is what this job is all about. Knowing the proper way to pack the groceries into bags to prevent damage to the merchandise is key. Compensation is around $20,000 a year. Bakery Associate – When customers come up, you’ll give them prompt and courteous service, if they have any questions, you’ll strive to answer them as best as you can. As needed, you’ll offer suggestions to help the customer make the best choice for them. Compensation is around $20,000 a year. Cashier Associate – Maintaining your lane to make sure that it is clean and is accurate at the end of the day is key. As customers come up, you’ll ensure that they’ve found everything they need before checking them out. Compensation is around $20,000 a year. Center Store Associate – As needed, you’ll answer any questions that customers may have about products. Knowing about the store merchandise is a big part of this positions to give the best and most accurate answers that you can. Compensation is around $15,000 a year. Why do you want to work for Harveys Supermarket? This is an extremely common interview question, so you should be prepared for it. Talk about what drew you to the company, whether it was the company culture or benefits and why it’s your first choice in places to work. What experience do you have? Highlight all of your relevant experience. If you don’t have any, talk about what you bring to the position and can offer the company instead. Make sure to use plenty of examples in order to enhance and support any claims that you may make. Because Harveys Supermarket relies heavily on customers for business, you may be asked this question in the form of a hypothetical situation: How would you take care of an upset customer? Be practical and realistic as you walk your interviewer through the steps you would take to turn the customer’s experience around. Several positions will require you to be able to stand for long periods of time or to carry heavy objects, so you may be asked: Is there anything that could keep you from doing your job? Be honest. The company will try to accommodate any issues that you have so that you can do your job to the best of your ability. How to apply for Harveys Supermarket online: search for the position you’re interested in, in the location that you want. Once you’ve found it, read through all of the job requirements carefully before filling out your Harveys Supermarket application. There is no printable application for Harveys Supermarket available on their website. Before attending your interview, do research on Harveys Supermarket and the industry in order to come up with a list of questions that you can ask. This may seem excessive, especially for an entry level position, but it will place you above the other candidates as it shows that you think ahead. As your interview will take place in a semi-formal setting, dress in business casual. If you’ve applied for a managerial or supervisory position, a suit would be appropriate. Have a positive and friendly demeanor for your interview because it will give a good impression and show that you’re willing to work with customers. Show gratitude at the opportunity to interview with the grocery store. Afterwards, inquire about the best way to check on your hiring status as only some applicants will learn if they got the position during their interview because Harveys Supermarket will want to screen all candidates before making a final decision. Market Basket: See our guide for careers at Market Basket. Giant Food Stores: See our resource page for more information on Giant Food Stores careers. Publix: See our guide for careers at Publix. Price Chopper: Visit the Price Chopper application. Marc’s: Visit the job application for Marc’s to apply today.